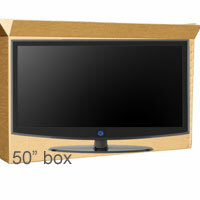 50" Plasma LCD LED TV Heavy Duty Box with 15m long x 75cm wide 2mm thick foam wrap. Great for moving your large TV. For screens measuring 50" diagonal.